The URI army camp attack - Was it sponsored by Pakistan or China ? Why is India silent ? The Geo-Politics of CPEC | Thanks to CoverFox for simplifying how is premium is calculated for cars. 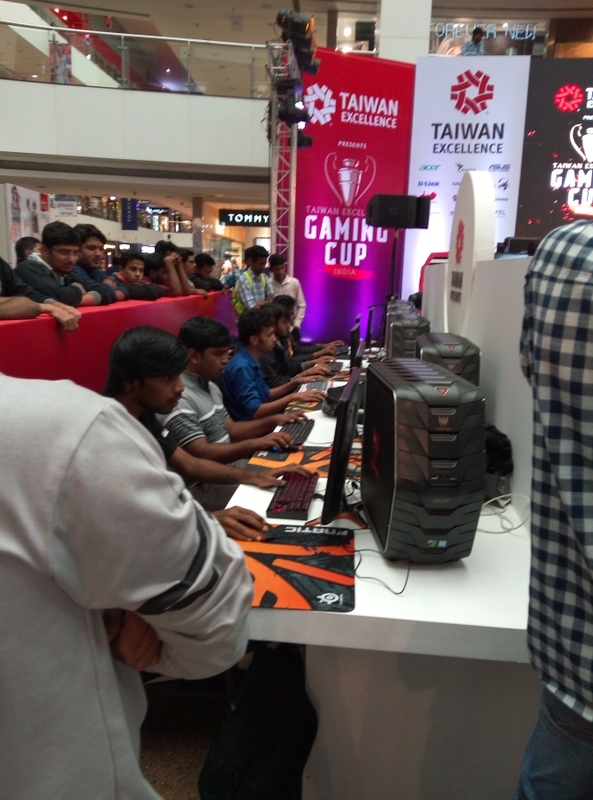 India's biggest and most venerated DOTA 2 tournament, the “Taiwan Excellence Gaming Cup”, came to a close after its high-voltage finale round was held on September 16 and 17 at Infinity 2 Mall, Malad (West), Mumbai. A total of 12 teams where qualified for the grand finale. Video games played at a professional, tournament level are referred to as “eSports”. So you might be surprised, Is video gaming a Sport or Hobby? Or a waste of time as treated by most parents in India. Most others may not consider video gaming to be a sports because it doesn't involve a physical activity. I asked the same question to a young student who was a gamer at event, He replied "Even Chess is considered as a sport, no physical activity, just strategy and same principals are applied to video games. it requires tremendous skill and strategy, strong mental focus, quick reaction time, and extreme dedication." It was a good answer that put me into thinking, all I could reply was "hummm.... Well it's debatable". Discussing with others, it appears that the United States, China, the United Kingdom, South Korea and many other countries have recognized video gaming as a sport. (https://en.wikipedia.org/wiki/ESports). The gaming community in India may be small but its growing and making its foray into India. This year a total of 378 teams participated that included 40 teams from Delhi, 50 teams from Hyderabad, 55 teams from Mumbai, 77 teams from Bangalore, 64 teams from Chennai, and 92 teams from Kolkata. The participants have almost doubled in comparison to last year. The challenge saw games like DOTA 2 (Steam version) in competition method with 5 versus 5 (team play, 5 players per team). This stunning event is a part of the 2016 Taiwan Excellence Campaign in India. The Taiwan Excellence Campaign is organized by the Bureau of Foreign Trade (BOFT) and implemented by TAITRA with Sponsors: Acer, Adata, Asus, D-Link, Genius, Gigabyte, InWin, MSI, Optoma, Thermaltex, Transcend, and Zyxel. and a total cash Prize of Rs. 5 Lacs. Yes, There is cash prize for the winning team. While speaking to gamers, I learned that in other countries Pro-Gamers have same respect like Hollywood stars and prizes are huge. In North America a similar tournament gave away $100,000 to the winners. Wow!! I learned that for few this is another way to make a living through gaming. 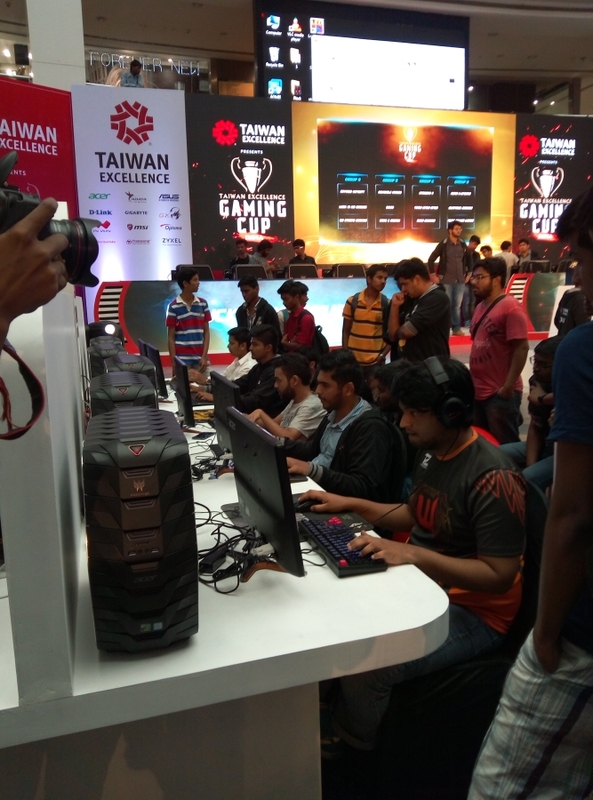 Pro-gamers can also make money through corporate sponsorship, The buyers pay their teams a salary upto Rs 50,000 each and meet their hardware and software requirements and professionals spend nine to twelve hours a day, sharpening their skills in preparation for their next tournament. This sounds like a fun career, I mean who thought that one day you will be paid for playing games. hummm I wish there was such gaming contests in my times, as in my circle I was champion in PCMan and Prince of Persia, Yahooooo!! can't just describe the feeling when you finally reach to the princess ;). I had record to complete the game in 45 minutes. 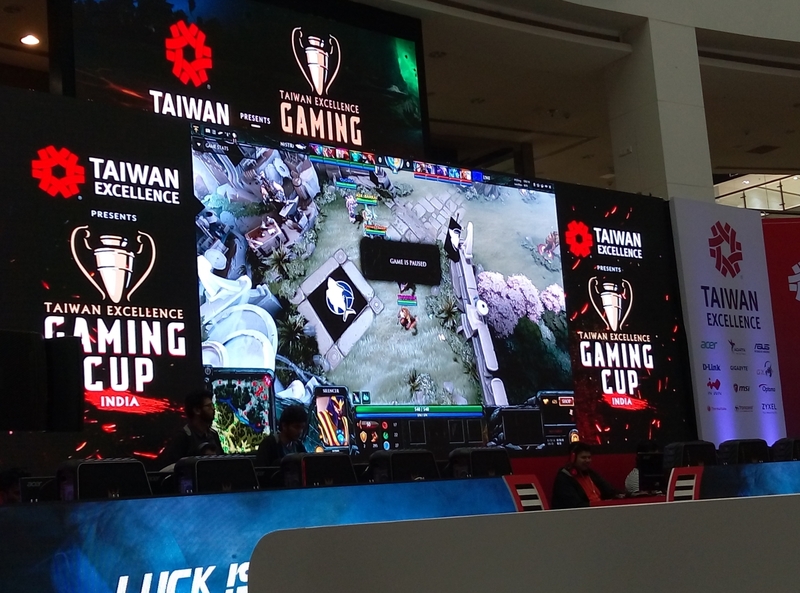 I wish good luck for the Winners of the “Taiwan Excellence Gaming Cup” tournament. 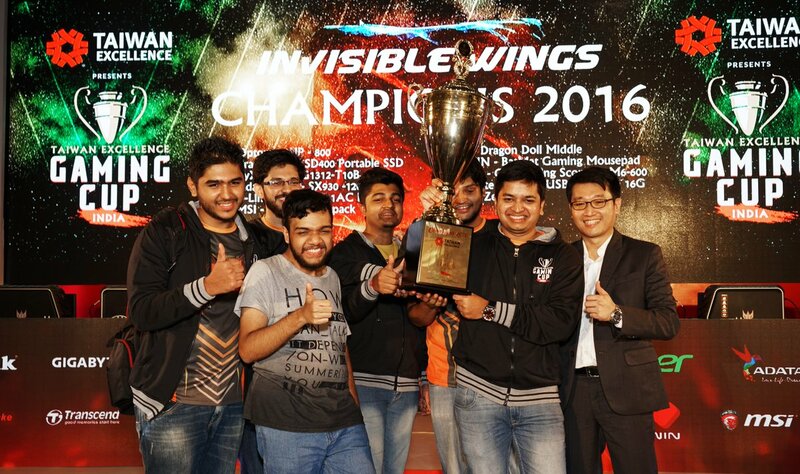 Team "Invisible Wings" at 1st Position. Team "Beyond Infinity" was second. 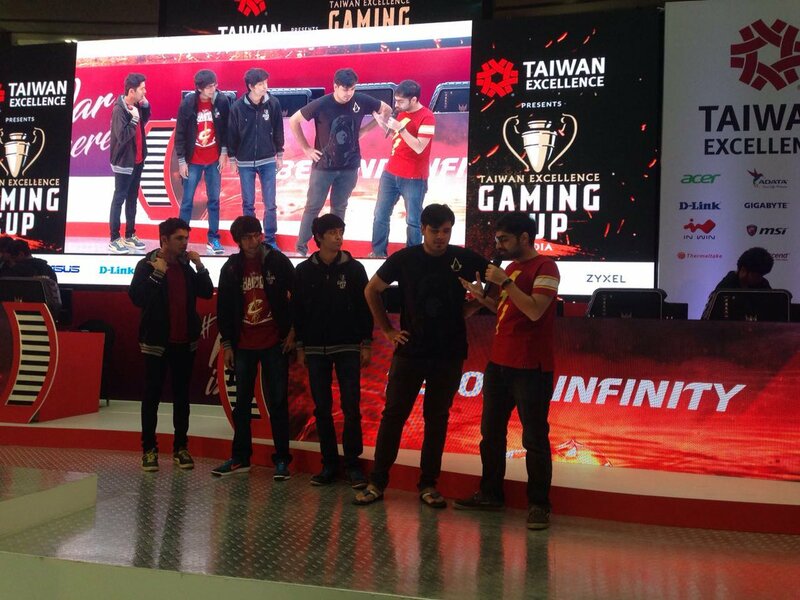 Moin Ejaz, Captain of Beyond Infinity, the 1st runner-up, said, “The Taiwan Excellence Gaming Cup is one of the best gaming events in India. There is always something new to look forward to and the prize money is always big. Events such as these are a mecca for people like us who are passionate about gaming. I did some googling and found 15 Of The Highest-Paid Professional Video Gamers In The World. Wow.. Just look at the figures they earn in the tournaments. Others who are not Pro Gamers, Yet want to earn from playing games, here is the site http://www.game-testers.net You can help Game developer companies to test their games. Some More Photos of the Event. 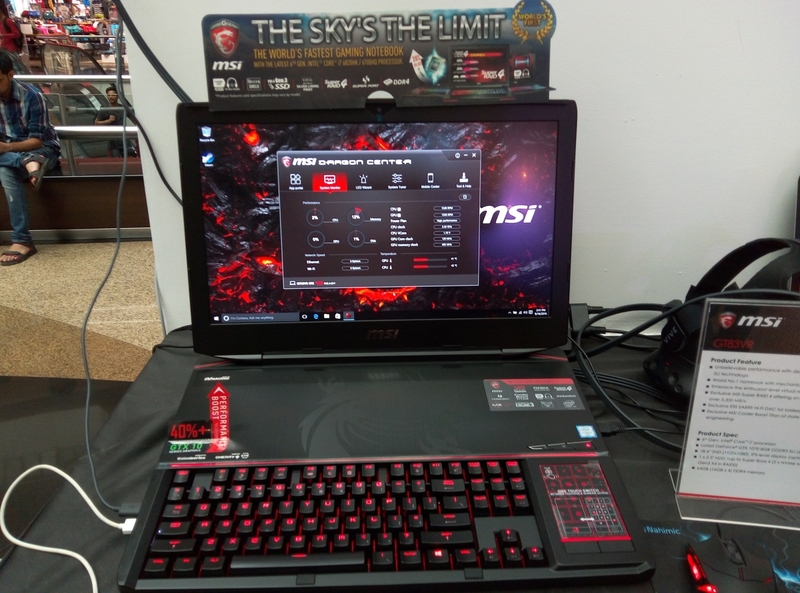 The highest configured laptop for Pro Gamers on display by MSI Model: GT83VR. The 2.7GHz Intel Core i7-6820HK 6th Gen processor with 32GB DDR3 RAM and 18.4-inch screen, NVidia GeForce GTX1070 8GB Graphics is available on Amazon at 3,37,900 with free delivery.